In addition to weekly sports and carnival sports, our Association is also involved in tournaments and various non-sporting activities. 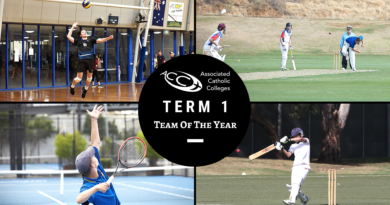 The Association conducts two golf tournaments each year – the Open Championship at Northern Golf Club (Glenroy) in April and the Junior Championship at Northern Golf Club in October. They are both stroke events and involve a shot-gun start at 8:30am. Schools are allowed to have 8 participants, with the top 4 scores collated to provide a team score. The Association conducts three Badminton events – Open, Intermediate and Junior – with all events held at the Melbourne Sports & Aquatic Centre. Chess is a hugely popular sport within the ACC. 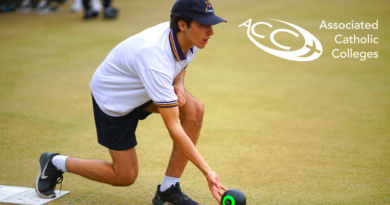 We conduct three events each year – Open, Intermediate and Junior Championships. Each event consists of 16 teams of 8 players, with some schools entering more than one team. The triathlon competition is held in conjunction with Triathlon Victoria as part of their regular summer series. Vocal ensemble, Concert Band ensemble, Stage Band ensemble, Percussion ensemble & Rock Music workshop which also features the hotly contested Battle of the Bands. In 2008, the ACC held its first ever combined music concert at Hamer Hall – “ACCent on Music”. The event proved to be a fantastic success and further concerts were subsequently held in 2014 & 2018. It is anticipated that this event will be held every three years at Hamer Hall, Arts Centre Melbourne. The ACC conducts an annual competition for Intermediate & Junior Debating, as well as Intermediate & Junior Public Speaking. We are very well supported by the Debaters Association of Victoria (DAV) who work with us to ensure a high standard of competition and constructive feedback for all participants. The ACC hosts a one day workshop each year aimed at Year 9 Drama students. A range of guest presenters conduct a wide variety of workshops, enabling the participants to gain a valuable insight into the numerous avenues of performing arts. The Association held its inaugural Arts & Technology Exhibition in April 2013, at Federation Square in Melbourne. In 2015, the event was held at Abbotsford Convent, whilst in 2017 we returned to Fed Square with the exhibition featuring fantastic works in The Atrium and Deakin Edge. We are blessed with the outstanding leadership displayed by the students from our member colleges. 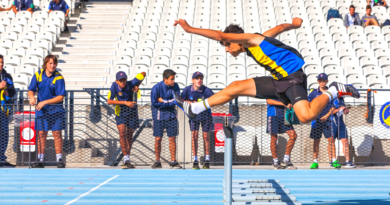 Each school works hard to ensure that the young men in their care develop strong leadership qualities. This is particularly evident on the sporting field, as shown by the commitment of all schools toward the ACC Leadership program. 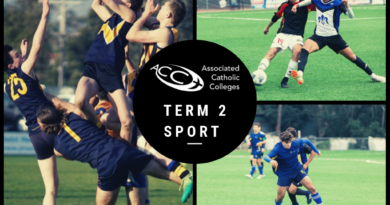 Each year in October, the future sporting leaders of each school are invited to take part in a leadership development workshop for ACC sport. During this forum, students interact and discuss various dilemmas that they may face as sporting leaders. We always have a high calibre guest speaker, along with several other presenters who challenge and engage the students. All participants come away from this workshop with a clear understanding of what it means to be a leader within an ACC context. In late November each year, all of the student leaders for the following year gather together to celebrate Eucharist, share a meal and meet with follow school captains and vice captains in a relaxed and welcoming environment. Each College Captain is invited to speak briefly about his school – what makes it unique, what values it espouses and what it would like to be known for in the community. It is always a wonderful celebration of student leadership, as well as a recognition of the commonalities amongst the member schools of our Association. This event is held in conjunction with Holmesglen Institute and involves a team of 4 junior chefs from each school cooking up a culinary masterpiece using set criteria. The final product is judged by the Holmesglen hospitality staff on practice, preparation, presentation and taste. 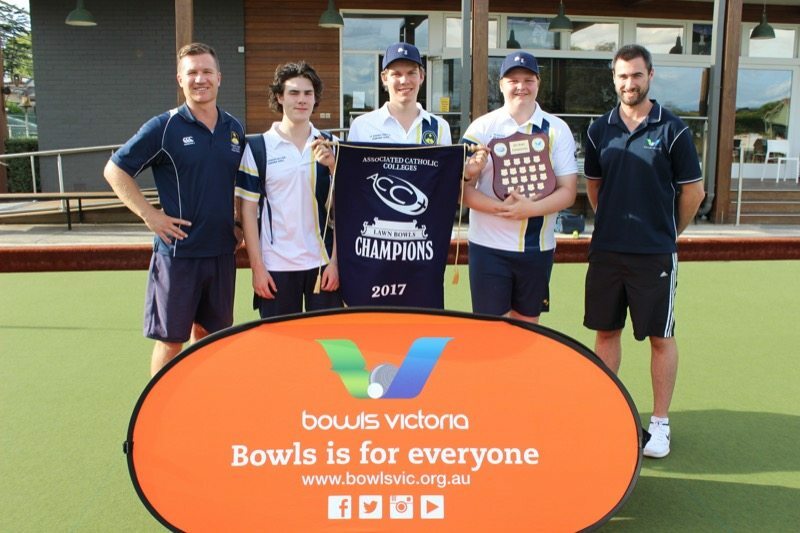 A lawn bowls championship was held for the first time in 2017 in connection with Bowls Victoria. Teams of 4 compete in a round robin tournament, culminating in finals and the awarding of a champion school.